This is a magnetic micro located outside the perimeter of the church boundary wall. You do not need to enter the church grounds. Tonge parish church is a grade 1 listed building, dedicated to Saint Giles. The Normans built the church between the 12th and 14th centuries. The west wall includes bands of Caen stone that once formed part of a major Norman doorway. Outside there are blocked arches everywhere and a very tall scar of a former roofline against the east wall of the tower. Whatever was there was a noble structure indeed, possibly a private chapel associated with the nearby castle. There is a record of a bell at the end of the 16th century, to which John Wilnar added another in 1626, with Chapman and Mears completed the ring of three in 1784. In 1798, Edward Hasted described the Tonge church in his topographical survey as consisting ‘of one large and two narrow side isles, and has a tower steeple on the south side, in which are three bells.’ The Victorians carried out restoration work in 1893. 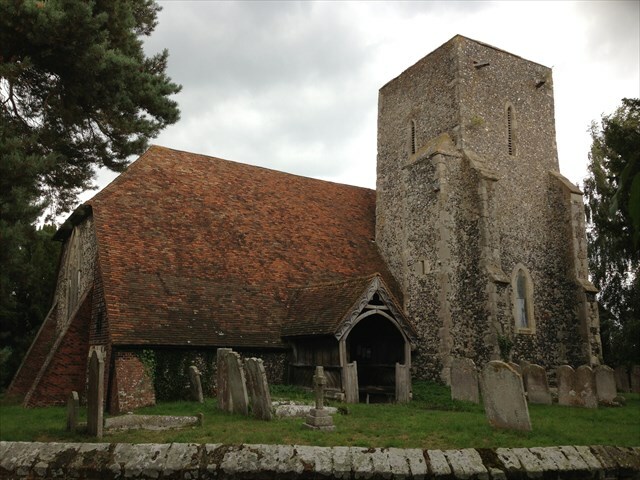 Tonge is a small parish and this church is relatively large for the size and area it was covering. Nearby are some other buildings of interest, being the Tonge Barn and Tonge Mill just south of the church and beyond the railway.